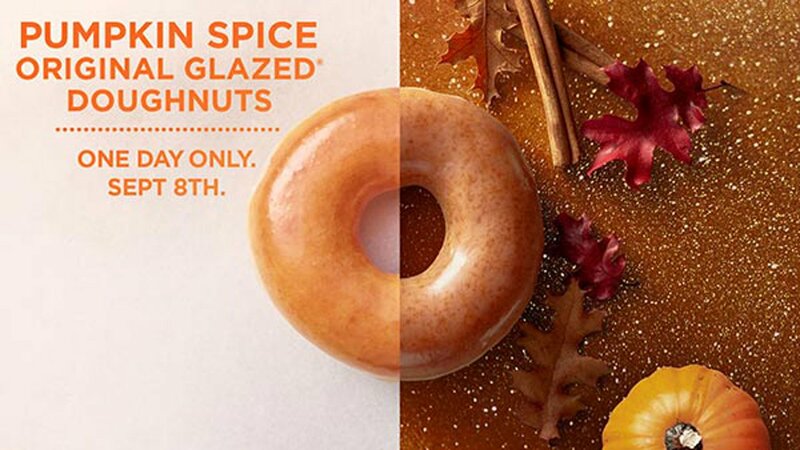 Krispy Kreme is hopping on the pumpkin spice bandwagon - but only temporarily. For one day only, Krispy Kreme stores across the country are offering a pumpkin spice original glazed doughnut. You can enjoy the fall treat all day on Friday, September 8. To find a Krispy Kreme store near you, click here.